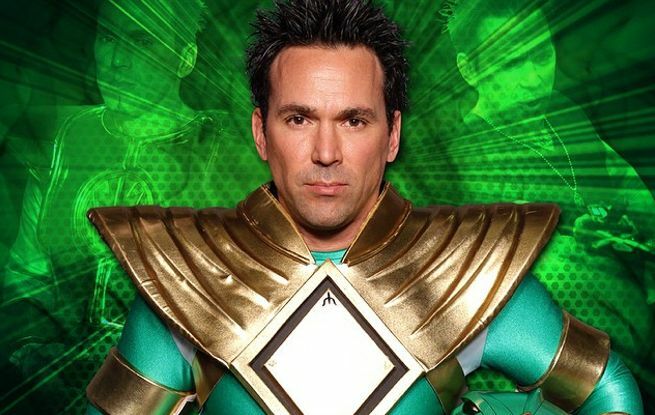 Ahead of his appearance at Nashville Wizard World Comic Con this upcoming weekend, Jason David Frank joined Comicbook.com for an exclusive interview. Jason discussed a wide range of topics, including the Power Rangers reboot, My Morphin Life, Wizard World, Stan Lee, Guardians of the Galaxy, and his own personal comic book collecting experience. What got you started playing a Power Ranger? Jason David Frank: I was an actor in Hollywood, and I got an audition script and just kind of read for it and got the role. You know, it was karate, it was right up my alley, so it was exactly what I was looking for. Are you involved in the Power Rangers reboot in any way? Jason David Frank: I probably will be involved. They talked to me about it. I don’t know how much I am involved, but for sure cameos at least in the reboot movie. Have you heard any inside scoop as to what direction they are going in script-wise or casting-wise? Jason David Frank: No, I haven’t heard anything, except for what Roberto released. They are so tight-lipped on that project, it’s ridiculous. I don’t even know my involvement into it. They talked to me about being involved, and the fans would love to see me involved. You know, we were originally talking about a Green Ranger series, but unfortunately just due to the Lionsgate movie, they don’t want to overshadow anything or suppress the appetite of the fans, which is a little disappointing, but there’s still possibilities of it. It’s just I think they are trying to save…honestly, I think they are trying to save my appearance for the Lionsgate movie. Are there any other upcoming movie or TV projects that you’re involved in? Jason David Frank: We’re filming My Morphin Life. We just finished Season 2, which is a phenomenal season. Season 1 was just more geared toward the YouTube channel. Season 2 is more geared toward the network that we sold to, CONTV, so there’s going to be a huge difference in quality storyline. Keep in mind Season 1 was a YouTube show, and Season 2 is geared toward more content and more geared toward reality show style. We did the Green Ranger Beat Down vs. Ryu which is going to be huge. The White Ranger vs. Scorpion we got about seven million hits on that. And the White Ranger vs. Ryu is going to be released probably this year sometime. The new Megaforce episode will be released in October. And then we’re working on a project called Taz Kayden, which is a special ops movie. And we just did the first episode of that. It was one of the best fight scenes I’ve ever done in my life. How many convention do you do a year, and what is it that appeals to you about appearing at Wizard World? Jason David Frank: I love the organization of Wizard World. I’ve done about, after this year, I’ve done about 35 to 40 shows. And about half of them, sixteen of them are Wizard World, I just love the way Wizard World is organized. They are like family to me. They are well organized. Everybody has a position, and there’s a hierarchy developed in the corporation in itself, which means that fans know where to go if something happened. No fan is left unhappy. It’s a fan oriented organization. And that’s what I think is important. A lot of Comic Cons are business driven, money driven, and sometimes the fans get lost in it, and I just like working with Wizard World. We’ve got twenty-two shows next year, and we’re hitting a lot of new different areas. And Wizard World has grown every year, from sixteen shows to twenty-two shows, who know after that where Wizard World is going to be. But they continue to grow and that’s a good thing. On the convention circuit, among all the fellow stars you’ve met, who’s impressed you the most and why? Jason David Frank: Well, I guess Stan Lee impresses me the most. He’s great to his fans. He always has a smile on his face. And he’s great to me as well. He just did a huge promo for My Morphin Life. Just a great guy like that. You see the energy that I put into my fans, and I see the energy that he has for his fans, and I admire he guy. Ninety-one years later, and he’s still out there signing autographs and making fans smile. And you’ll never hear a bad thing about Stan Lee. That just goes a long way in this business. What would your dream role be in a DC or Marvel comic book movie? Jason David Frank: You know, I never really thought about that, because I’m a superhero in myself. I’m the Green Ranger, so I never thought about playing another superhero character. Obviously, I love Wolverine, but I don’t fit the part of Wolverine. There’s a lot of roles that I don’t fit. If they were going to something over again, I would love to do something like The Crow. That’s more up my alley, even though I know it’s not Marvel or DC related. It’s hard to see yourself as a superhero, when I’m already a superhero. Do you have a favorite comic book movie? Have you seen Guardians of the Galaxy? Jason David Frank: Guardians of the Galaxy, I did like that. I liked it because Michael Rooker is a good friend of mine, and he brings a lot of energy to the table. He’s just a decent, down-right human being beyond being an actor. He’s a martial artist. Me and him get along well. He just makes you feel good, and he makes every fan feel good. And honestly, he would be my other person I would pick as far as who’s great to the fans. He’s definitely there for his fans. He was in the movie. I know Karen, she’s a friend of mine as well. I met Bautista. Beyond knowing the people in the movie, I thought it was a fun, interesting film. My girl liked it and loved Groot, and it was a good story. It just shows you that acting you can feel for a character only saying one word. It’s not about the words that you put into your character or anything. It’s about the feel that people feel, and Groot is like, you felt his acting even though it was voiceover, but you felt the human being spirit come out of him in protecting his family. I just felt it was interesting the way the whole film went down. And I thought it was good. But ultimately, I like Wolverine. Wolverine has always been a favorite of mine since I was a little kid. It was the first comic book I collected. I had the first issue of him appearing in The Incredible Hulk. I had a huge comic book collection that I sold to buy my first karate school. Huge collection, really expensive books, it got me my first karate school, and karate got me the part of Power Rangers, so now I’m back into the comic book world. It’s kind of like a full circle. What are some of the comic books you read currently? Jason David Frank: I’m still old school X-Men. I don’t think I’ll ever grow out of that. I just love Nightcrawler, Daredevil at one point. I was either into Daredevil or I wasn’t into Daredevil. Currently, a lot of fans bring me Wolverine books, and I like reading the X-Men. I just like seeing how comics progress. It’s overwhelming to me, because when I was a kid…I’m 41 years old, but when I was a kid, books were like 65 cents cover. And you only had two choices, you were either Marvel or a DC fan. And I was a Marvel fan. I mean I loved DC, but I never collected DC at all. I think maybe because Marvel at one point held more value, back in the day, than DC comic books. People could probably argue with that, but that’s just from my collection standpoint. Nowadays, go in a comic book shop you see like every different comic company there is, it’s overwhelming, it’s so confusing. You see like The Wolverine is not just Wolverine, it’s Wolverine and every different thing. They’ve just oversaturated the market of what the old-school comic books used to be. That’s just my opinion. I use to even collect an old-school book called Power Pack. I use to collect it, and just read different stuff. I would always buy one mint condition and one to read. I book Comic Cons, but I never get a chance to look around ever. I will walk around sometimes and stuff, but I’m always at my table signing. It’s still cool to see the cosplayers. I do all the costume contests, so I’m able to see the cosplayers, and they’ve really progressed over the years as far as costumes and props and stuff. We’re doing that at Wizard World, every Saturday for the next three shows, I’ll be one of the main judges. What Power Rangers episode stands out as your favorite? Fighting Spirit and Dino Thunder, just because I got to fight my past Rangers, that’s probably my favorite. Jason David Frank maintains an active presence on social media. To keep up with Jason David Frank, be sure to follow him on Facebook, Twitter, and Instagram. Jason David Frank will be appearing at the Wizard World Nashville Comic Con, which takes place from Friday, September 26 through Sunday, September 28, 2014 at the Music City Center convention center in Nashville, Tennessee.